Hi everyone…I wanted to thank you for the sweet words of wisdom the other day. I read your comments again and again. I cherish your advice and thoughts more than I can express. For some reason, I always find myself giving my room an uplift this time of year. Must be because that lovely month of organization is close at hand–January! (That’s an old picture…the board isn’t looking so great these days, it’s all markerish now). They’re are actually little whiteboard panels I lined up and hot glued to our bulletin board. And do you know what they are made of? They are those foam boards used for presentations, but with a dry erase surface! (Do you ever get an idea in your head about something, google it, and find that it actually exists?? Best feeling!). You can see them here: Elmer’s Dry Erase Foam Boards. The dry erase surface is better than I even expected and erases very nicely (we use those Mr. Clean Magic Erasers). The only downfall? 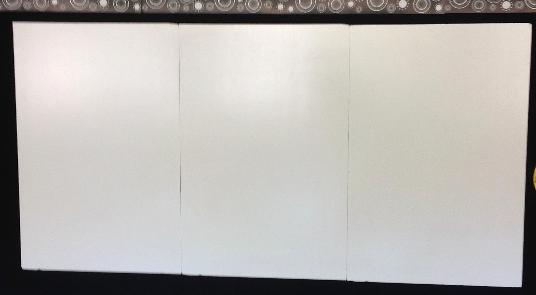 We have to be careful of the cracks between each board…if they get too much marker on them, they may not erase (since they’re at the very edge of that foam board). We’ve talked about this in class and the students are great about not writing over the borders. What do you like to use your dry erase boards for? Technology for the New Year! Very clever. I mainly don't write on the board for lessons anymore. My screen takes up a good portion and I use the ladybug / projector/ computer… What is always on the board are my objectives, my magnets of kids done/ not done, date, and homework. Another inexpesive option is found at the lumber yard….it is a white bathboard. We have used them as large white boards and we have also had the lumber yard cut them in 9 x 12 size for lapboards. Just another idea!! Great way to add another wipe off board to your room! Really cool! Thanks for sharing! 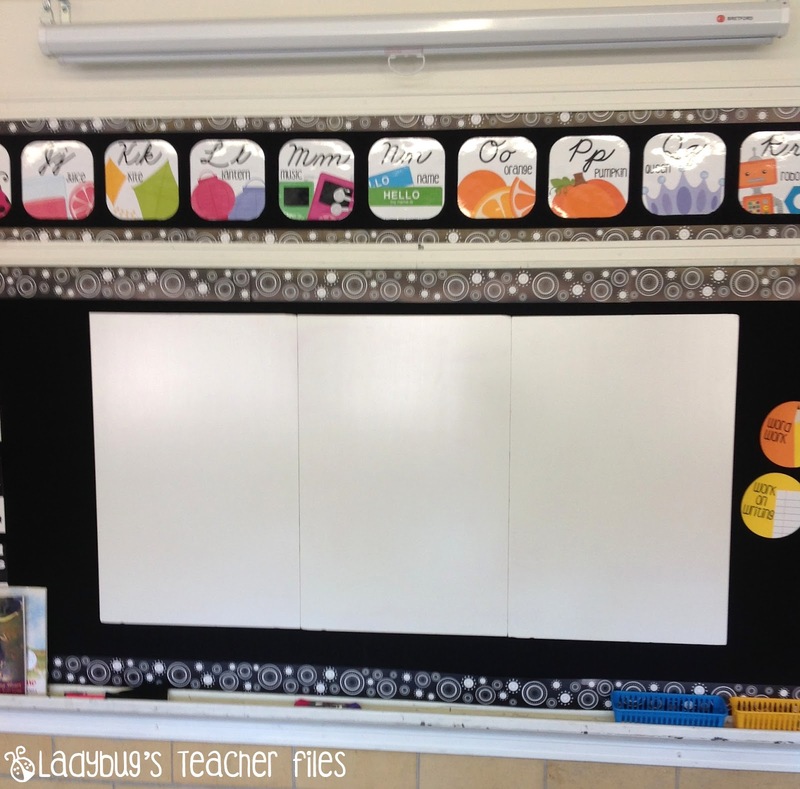 I am loving this ideas….as I detest chalk boards. Good tip. Thanks. Oooh, that's a great idea! Thanks for sharing. I read on Pinterest that you can clean whiteboards with air freshener. It sounds weird, but it really works! What a great idea!! You are so crafty! I hope you have a great holiday!! Kristen–I love this. 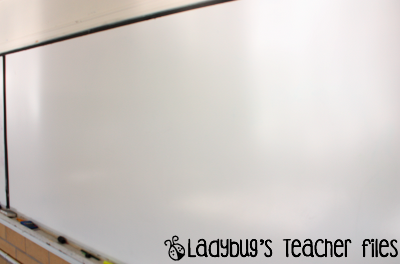 My Smartboard has attacked the whiteboard space, and I love this creative solution! I love whiteboards! This is great!! You are truly incredible, Kristen. I've been stalking you for quite some time and just love so many things about you! Your knack for graphics is just completely incredible and your generosity is sooo appreciated!!! Thank you so much for all you do! Thank you for sharing. You always have creative ideas. I really love your creativity! My big white board is sectioned off with ribbon. I was thinking if you wanted you could put tape or ribbon over the creases and have each board be for a different subject, or activity. Shrugs, just an idea. Though I totally get the appeal of putting them together to have one bog board. I am curious to see what else you will do with them.